Hacienda Playa, Elviria, Marbella, Spain. 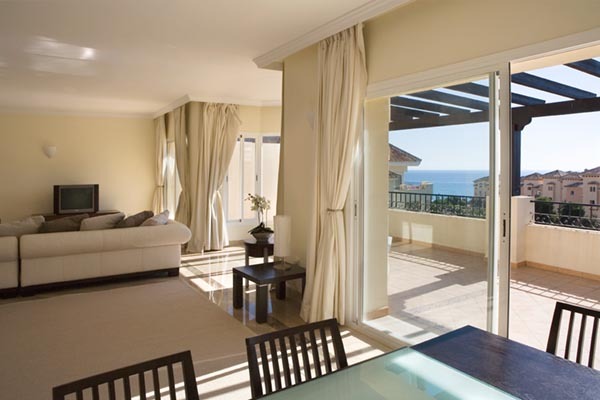 Hacienda Playa is a luxury development situated in Elviria near to Marbella on the Costa del sol. The development is conveniently situated with Malaga's International airport only 30minutes drive away and only 8 kilometers from Marbella and Puerto Banus, home to the rich and famous with its many restaurants and bars. Elviria is an excellent place to holiday or even live, with around 320 days of sunshine and excellent all year round temperatures. The airport at Malaga services most major European destinations and these being only 2-3 hours away. The location is also excellent for Gibraltar with it's Banking facilities and tax free status only 1 hours drive away. Please send us an email for our free tax planning newsletter. We specialize in Marbella Property in and around the area of Hacienda Playa, Elviria, Marbella but can accommodate you in surrounding areas. We have an excellent choice of both sale and rental properties for holiday lets and long term accommodation. We can arrange finance for your purchase here in Spain with local Spanish banks or can arrange finance in Gibraltar with leading UK companies. We have several Lawyers here in Spain that we can recommend who speak fluent English and can help you through the purchase of your holiday home. With the low cost of living, infrastructure and excellent rates of interest your dream home in the sun has never been more affordable. With property prices in the UK steadily rising everyday, more and more people are deciding to make the move they have always dreamed of.